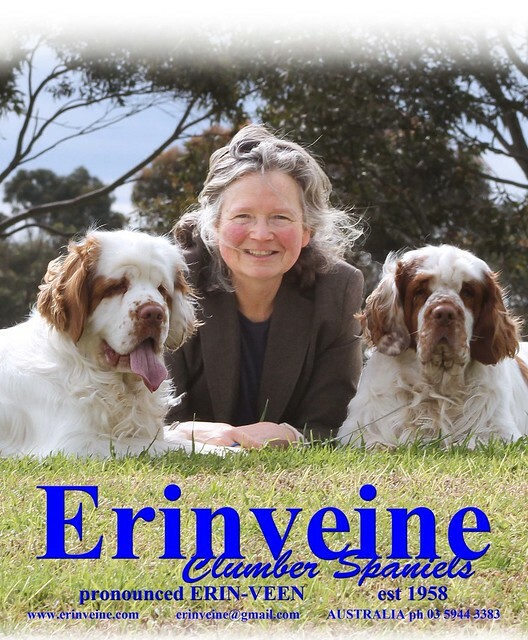 HIP ASSESSMENTS of ERINVEINE CLUMBERS! Hip scoring is, however you look at it, far too subjective for a small difference in scores to be of relevance; in fact any score of 18 or under on the BVA scheme could justifiably be called ‘HD free’ as each hip is scored on 9 points and if there is ANY doubt the scorer is obliged to issue a 1. Under the BVA and associated schemes the lower the score the less evidence of hip dysplasia or associated damage. The schemes adopted across countries now fall into only a few groups: the British scheme which has been adopted in Australia and New Zealand, the new standardized European scheme, the American OFA scheme and just a sprinkling of other schemes and old scheme scores – however, there is rarely clear co-relation across any major schemes.